Visual Effects studios are in need of creative, skilled compositors. Join the Compositing for VFX program and you could be working in just 12 weeks. Our Compositing for VFX Program prepares you for an exciting career in the Visual Effects industry. Learn rotoscoping, camera stabilization techniques, green screen keying, and advanced 3D compositing in Nuke, the industry standard compositing software. In just 12 intense weeks, master the art of visual effects compositing and create a demo reel designed to catch the attention of VFX studios and get you hired. Talk to an Advisor now! Vancouver, Canada is a world class city for CG and visual effects, and you’ll be studying at its heart. 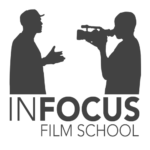 Compositors are in high demand and InFocus graduates are highly sought after by studios. In addition to your education, we provide studio networking opportunities to cultivate relationships between you and industry insiders. Many InFocus Alumni have graduated on Friday, and have found work by the following Monday. Vancouver, Canada is a world class city for visual effects, and you’ll be studying at its heart. Compositors are in high demand and InFocus graduates are highly sought after by studios. In addition to your education, we provide studio networking opportunities to cultivate relationships between you and industry insiders. Many InFocus Alumni have graduated on Friday, and have found work by the following Monday. Located in a heritage building next to the iconic Woodwards development, InFocus is at the centre of the buzz, culture, and creativity of Gastown. Vancouver is a world-class city for VFX production, and we maintain an excellent success rate placing alumni in jobs. In just 12 weeks, you could be working in one of the many studios just steps from our doors. Jesse was hired the same day he graduated from the 3-Month Compositing for VFX program and is now working with Streetside Productions. Warren was hired by Method Studios immediately after graduating and has since worked on films such as Avengers: Infinity War and Aquaman. Less than a week from graduating from Compositing for VFX, Pam joined the production of an epic sci-fi series, Space Command! Compositing is the combining of visual elements into a single image. From major films to car commercials, nearly all professional modern video contains composited elements. Rotoscoping is the creation of mattes for elements on a live-action plate, preparing it to be composited over another background. Greenscreens (or bluescreens) are used to insert background elements into a live action shot. Whether characters are on an alien world or just on a rooftop, greenscreens are ubiquitous in film. Camera tracking, or match moving, is a technique that allows the insertion of computer graphics into live-action footage with correct position, scale, orientation, and motion relative to the photographed objects in the shot. Nuke is a node-based digital compositing application developed by The Foundry, and used for film and television post-production. It is the industry standard compositing software. Intakes are capped and spaces fill quickly. Apply early for your best chance of acceptance.